I'm not a huge advocate of packaged foods, but once in a while (and I mean more like once in a blue moon) I like to indulge in crunchy potato chips. When I was recovering from debilitating fatigue I could not eat potato chips because I would feel very sick afterward. It took me some time to find a brand that I could tolerate. 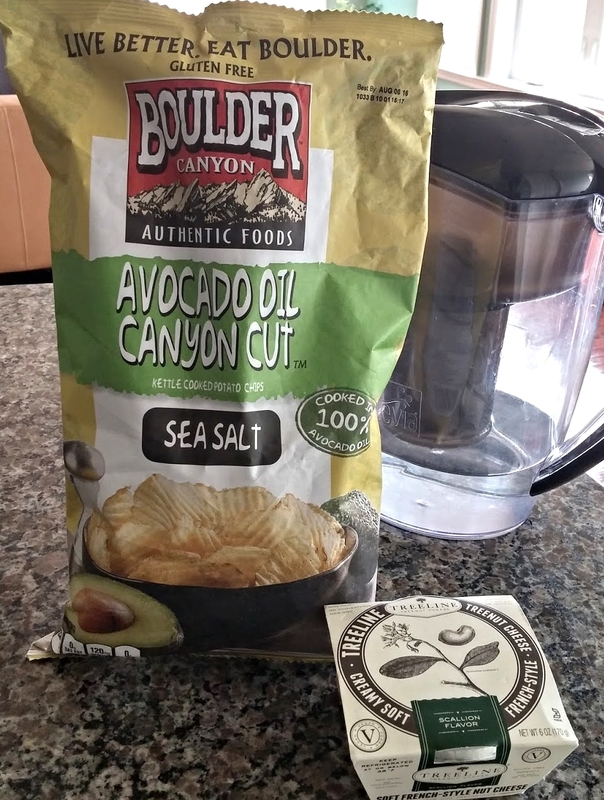 You can imagine the joy in my heart when I finally found chips that I could eat -- Boulder Canyon potato chips made with avocado oil and sea salt. These are pretty clean potato chips. If you look at the ingredient list it's made of potatoes, avocado oil, and sea salt. Another plus is that these chips are gluten free. My only wish is that they were organic. I've tried a number of brands but many times the ingredient lists mention way too many additives and chemicals and sometimes the chips had a funny after taste. When eating clean consistently the taste buds finally start working properly and the body can tell the difference between fake food and real food. Like I've mentioned before the body rejects the bad and accepts the good. It's amazing how genius the body really is. Anyway, Boulder Canyon potato chips with avocado oil gets my approval for special occasions, perhaps for an important sports game or a nice reward for eating clean for a week or two. I have tried the other flavors like olive oil and coconut oil but the avocado oil flavor remains my favorite. I like to have my potato chips with a nut cheese brand called Treeline in scallion flavor. The combination is so wonderful. Treeline can be found at Whole Foods. Boulder Canyon potato chips is sold at Harris Teeter, Kroger, and select Giant and Safeway stores. If those stores are not convenient, Boulder Canyon potato chips may be purchased at Amazon.com. Try it sometime and make the switch to eating relatively clean potato chips.